Holly Heider Chapple has operated a wedding and event design studio for 26 years. She is also the visionary behind Chapel Designers, Hope Flower Farm and her new product line with Syndicate Sales which is greatly impacting the world of floristry. Holly is a recognized educator and leader in the industry from trend reports to main stage presentations at AIFD. Holly has done it all. Holly will kick off the workshop on Sunday with business coaching. Topics will include: booking your ideal client through effective marketing, efficient contract writing, and the business of floral design. On Monday, she’ll share ‘Hollyish’ floral design principles while leading the class through the creation of bridal bouquets, centerpieces, and a large installation. Tuesday will be spent working together as a team to execute a full photo shoot. Shira Savada has seen (and heard and written) about her fair share of weddings, and it never gets old because she loves weddings. And the people who make them happen. As the former Real Weddings Editor of Martha Stewart Weddings, she now shares the knowledge and expertise from her decade-plus there through her new consulting company, shiramisu. Shira is a seasoned bridesmaid, and a sucker for a great first dance song, anything calligraphed, classic photographs, family heirlooms, and a well-made cocktail. Her love of all things bridal began in elementary school when she dressed up as a bride for Halloween in a “gown” made by her mother. She’s obsessed with anything purple, her favorite flower is the ranunculus, and her cat has her own hashtag (#mycatviolet). We’re thrilled to have Shira on hand throughout the workshop sharing her expertise with attendees and offering tips on how to curate a beautiful editorial spread. Abby Jiu has had a passion for gorgeous imagery and creating art since before she can remember. Her style is the best of both worlds, using film cameras and digital cameras to catch the stolen glances, fits of laughter, and heartfelt emotions sprinkled among the ever-important beautiful details that make each couple’s wedding day unique. She loves having the opportunity to get to know her couples, watching the personalized touches come together and using the relationship she’s built to preserve precious memories on film. When she’s not behind the camera, Abby fills her time with her husband Jamey, a bossy bulldog named Lola, and traveling abroad. She’s received numerous accolades for her work, including being named one of Martha Stewart Weddings’ Top Photographers and Washingtonian Editor’s Pick. You can see her work on the pages of Brides, Martha Stewart Weddings, The Knot, Southern Weddings, Washingtonian Bride & Groom, and Southern Living Weddings and many more. Isha has a love of stylish floral and event design. Her aesthetic encompasses the total look of the event. From custom draping and installations, to backdrops and linens, she is known for creating beautifully detailed events. She combines her heart for design with a head for business. 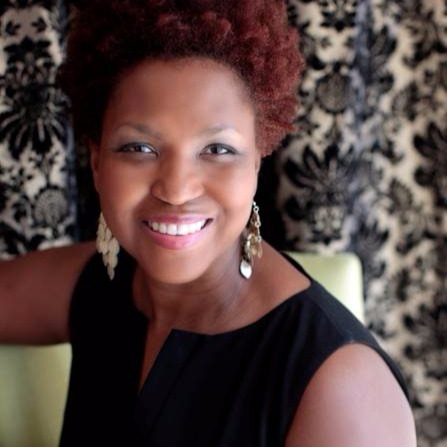 She is a Chapel Designer, speaker, and mentor to other wedding professionals. Her work has been featured in The Knot, Bridal Guide, Essence, Style Me Pretty, and Ruffled, among others local and national publications and blogs.